With more than 3000 SSL-equipped studios and facilities operational today, the excellence of SSL consoles is universally recognised for unrivalled sonic quality, superb ergonomics, outstanding automation and an international support infrastructure second to none. Internationally famous musicians, producers and engineers working at the highest level of every musical genre choose SSL equipment to extend their creativity and ensure the highest possible quality of their finished product. The key to the company's success lies in its products; powerful and innovative technology is used to create dedicated solutions for the recording and manipulation of sound in highly demanding environments. In conditions where sonic purity cannot be compromised against the inevitable demands of high workloads, and where dauntingly inflexible deadlines are accepted as the norm, SSL equipment is synonymous with reliability and excellence. FACE will distribute the Broadcast consoles in the Benelux area. 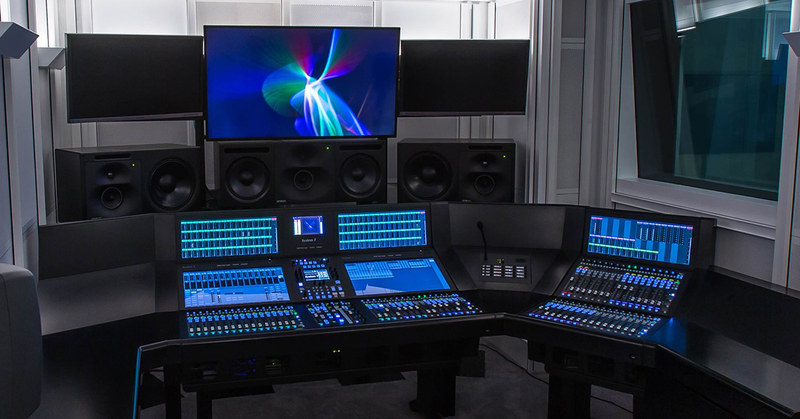 For more than 30 years SSL has been at the forefront of innovative broadcast console design and has incorporated decades of research and customer feedback into the development of their consoles. Besides the Broadcast consoles, FACE will distribute the SSL Live consoles in Belgium and Luxembourg. SSL Live delivers outstanding performances in the most demanding applications in touring, installation, house of worship and theatre. On June 7-8, we organize our SSL Broadcast launch event at FACE to introduce the System T console. We would like our Broadcast customers to discover the advanced SSL technology in a series of private tech sessions.